With ADsim, you easily run Simulink® models on ADwin hardware. With a few clicks only, you insert data of the ADwin system as blocks into the model and start C code generation. After compilation, the model runs on the ADwin system in real-time with absolute timing precision and predictability reaching sample rates up to 1,000 kHz (processor T12). 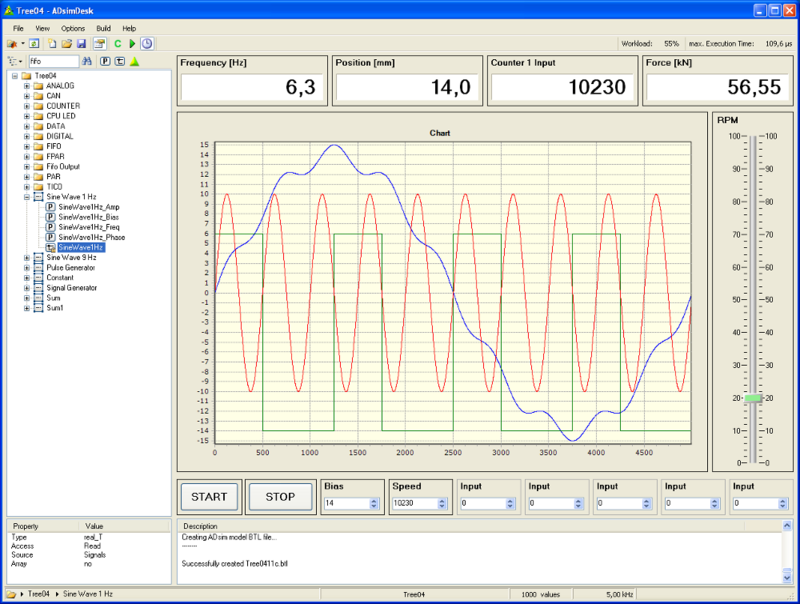 With processor T11, frequencies up to 100 kHz are available. We will gladly send you further information about ADsim, with just a click. When developing and debugging with ADbasic, you take advantage of our decades of experience in real-time programming. The model signals and parameters can be displayed or modified with the graphical user interface ADsimDesk. Via the standard ADwin driver, you can build your own user interface for the compiled model in any common programming language including direct access to all model parameters and signals. 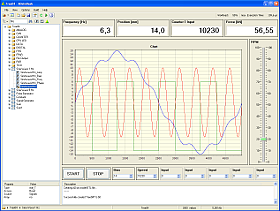 The running model can also be controlled and tested by use of the free-of-charge ADtools. "ADwin Software package 6.00.22.03 ADsim". We will be happy to inform you about the details.